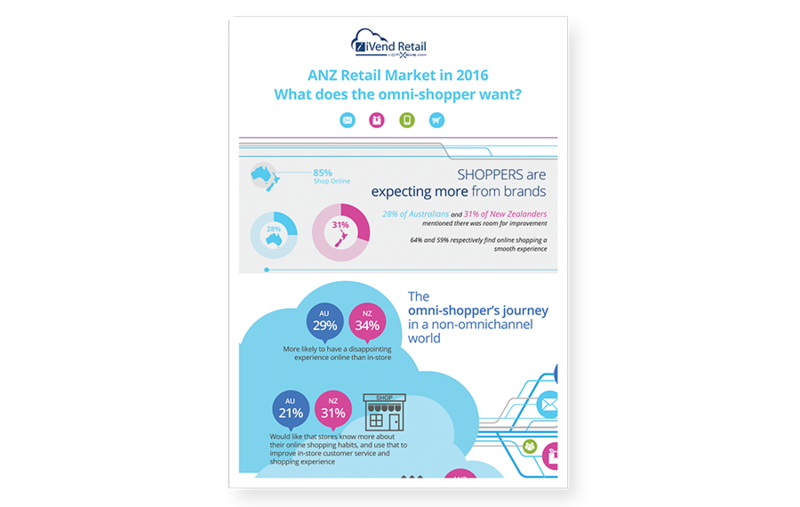 iVend Retail’s Omnichannel research infographic gives a statistical snapshot of current shopping behavior of a wide range of Australian & New Zealand retail customers. It also provides key insights into today’s unique retail market and how retailers can ensure they meet shoppers’ expectations while staying ahead of tomorrow’s trends. Download our exclusive infographic to see more of the recent shopper statistics.